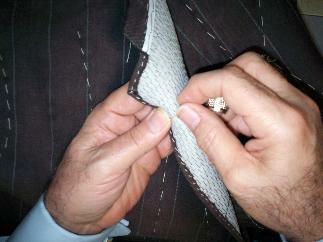 The fact is very few people fit ready made clothing perfectly, and need their clothes altered. Arsen’s special attention to detail will provide you with full comfort and confidence in your appearance. Original finishing is Arsen’s specialty, your Designer Label Dresses, Suits or Jeans will look and feel like custom made. With over 50 years of skill and experience, Arsen’s European Tailoring is what you are looking for in a tailor shop. Re-weaving of your favorite garment is also available. Your satisfaction is guaranteed.